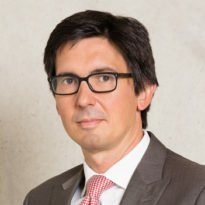 Robert received an MA in Politics and Diplom-Volkswirt (MSc Economics) from Munich University and gained a DPhil in International Relations from Oxford University (Nuffield College). He has published widely on topics relating to global environmental politics and climate policy, among others. His most recent books are The Handbook of Global Climate and Environment Policy (Wiley-Blackwell, 2013) and Business Power and Conflict in International Environmental Politics (Palgrave Macmillan, 2008). In 2006-07, he was a visiting scholar at Harvard University. Before joining LSE, Robert held academic positions at the universities of Oxford, Kent and Essex. Robert has expansive experience of executive education and has undertaken consultancy and advisory work for private and public sector organisations, including the Department for International Development (UK), European Commission,European Environment Agency and the Federal Ministry of Education and Research (Germany).